Today we are pleased to present agent Fiona Kenshole of Transatlantic Agency. 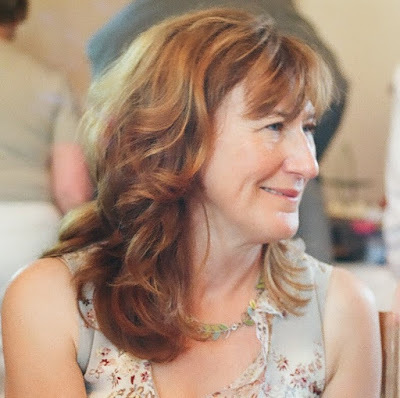 She will teach a webinar on Tuesday, May 15, at 8:30 p.m. Eastern time, How to Make Your Story Stand Out from the Crowd, co-hosted by INKED VOICES and Kidlit411. Be sure to enter her giveaway for a critique of the first 10 pages of a novel + synopsis or a full picture book text! Register for her webinar here: How to Make Your Story Stand Out from the Crowd: We see so many manuscripts that are competently written and well plotted - but does yours have the "sparkle factor" that makes it irresistible? In this talk we'll go beyond craft to get to the heart of how to tell the story you need to tell, why it matters, and how to surprise and delight your readers. We'll look at voice, character, plot and, above all, emotional engagement. Tell us about yourself and how you became an agent. In some ways, my career has been leading up to becoming an agent, because I've worked in so many sides of the industry. My first job was working in a children's book store in the Cotswolds, as my side job from the age of 16. After graduating from Cambridge University where I was one of the first people to study children's literature, I worked for a publishing trade newspaper. I fell in love with Portland, Oregon, and set up as a specialist children's agent there after deciding I'd​ finally got enough wide-ranging experience to give it a go! I now ​have a wonderful mix of local clients and clients across the US, Canada, the UK and even Japan! What types of books are you looking for these days? ​I love immersive novels - both commercial and literary. Those stories where the real world recedes as you read and you are living with those characters. I am drawn to unreliable narrators and stories that unwrap like onions​. In YA, I love fast paced romantic comedies, happy heart-warming endings, mysteries, and grounded fantasy and sci-fi, with real people in magical or fantastical situations. I care deeply about conservation, biodiversity and making the outside world a better place, so stories that reflect those values are welcome. In MG, I love animal stories, real children in magical worlds, funny stories, sister stories. As an immigrant, I'm interested in writers with a foot in another continent, and diverse writers who offer insight into other ways of seeing the world. I'm not currently looking for historical novels or picture books as my list is replete with these. What type of agent would you describe yourself as? What is your communication/ editorial style? I think they'd say I am honest, thoughtful, dedicated, passionately have their backs, a tough negotiator, funny, and apparently I have a plummy accent which makes it easier to take tough feedback from​! I'm not a great one for Twitter banter but I love to Skype regularly ​with my lovely authors and illustrators, and if they are local, I make them home-cooked lunch. 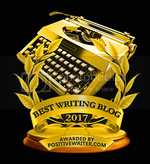 I spent many years as an editor, working with many beloved award-winning and bestselling writers. There is no single editorial style - I work with each creator to bring out the best in their story. Sometimes that involves detailed line editing, and sometimes it's a phone conversation or three notes on the back of an envelope. Each writer is different, so I look to find the way that they will respond to best. What excites you most about a manuscript? With a novel manuscript there's a moment, usually within the first ten or so pages, ​when I start to relax, knowing I'm in a safe pair of hands. I switch off the phone, make tea and lose myself in the story - and truthfully, I actively resent anyone interrupting or taking me out of the book. What creates this feeling? An original voice - someone you want to spend time with. Clear story goals - the plot is motoring along. Surprises: Do you ever play that game where halfway through a movie you predict how it's going to end? The same is true for me with a new novel - or a picture book. I want the ending to be satisfying but not predictable. And I love a debut voice with something new to say about the world we live in. Because I sell the rights for my clients, I also get a little frisson of excitement for a story that I know I can sell into other languages and for film and TV. What are common mistakes you see in a query or manuscript? An awful lot of stories start in the wrong place - that's true for novels and for picture books. If you are spending too much time setting up the world, or giving back story, or in any way not engaging the reader with the lead characters and their challenges, then cut and start when the story goal is obvious. I love an active protagonist. We get to know someone by the choices they make, and how they resolve problems and conflicts. I do like to see these unfold actively in the story, not have another character tell me about them or learn about it in hindsight. ​Every year, I go to the Bologna and London book fairs to pitch my clients' work, and get to spend some time back in the UK. I still own a 450 year old cottage​ ​in Oxfordshire at the back gate of Blenheim Palace (in the next village to Philip Pullman). One day I'd love to make it a writer's retreat! ​Please send your query letter with the first three chapters plus a synopsis and a bio​ to queryfiona (at) transatlanticagency (dot) com. The submission needs to be in the body of the email. In the subject line, please put Kidlit411 Query. Fiona Kenshole and Inked Voices are offering a spot, free of charge, in her upcoming Middle Grade First Pages workshop with Inked Voices. This spot is available to a writer of color or from a traditionally marginalized background and the winner will be drawn at random. Deadline: May 10th. Thanks, Fiona, for the opportunity to submit, and thank you, Kidlit411. I love the way she describes reading a novel submission and the feeling of knowing she's in a "safe pair of hands." I don't write novels but I so identify with that experience as a reader. What a wonderful opportunity! Thank you Kidlit411, Inked Voices, and Fiona Kenshole. Thanks so much for your advice, Fiona! And I'm just a little green with envy that you once worked in the Cotswolds (I love Broadway!) and now live outside Blenheim (I've always had sympathy for Anne!) I used to live outside Warwick and it's been ages since I went back. In any case, here's to writing with a full cream tea in front of us :) Thanks again! Great advice here. Thanks Fiona, and Kidlit411! Thank you for sharing your background and advice. Your webinar sounds intriguing. Where to start a story is often a tricky thing. Thanks for this post. Great interview! Thanks for sharing with us! Excited for this webinar! And Oxfordshire sounds like the perfect place for a writer's retreat. Someday! Thanks for this opportunity it would be great to be agented for my MG novel. What a rich career! The webinar should be great. Excellent information. Thanks so much! Thanks for the submissions opportunity, informative interview & chance for a critique! Oh my! You've lived a lovely life! I'm from Portland, Oregon, a truly beautiful city. Thank you for the information and the opportunity to submit. Cheers! Wow! Sounds like you've done it all. Can't wait to catch your upcoming webinar. Thank you for the chance to submit to you even though you are currently closed to submissions. Christmas in May! Thanks for this great interview. Looking forward to the webinar. Webinar sounds great! I really enjoyed the interview, thanks for the submission opportunity! The webinar is really tempting! Great material presented here, too. Thanks! Webinar sounds like a great way to find new tidbits of wisdom! 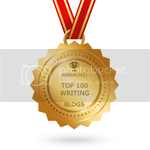 Thank you for the chance to win a manuscript critique. I love the fact that you have clients on several continents. Enjoyed getting to know you a bit in this interview! Wishing I had a MG or YA manuscript to send your way. Nice opportunity. Enjoyed getting to know you a bit through this interview. Wishing I had MG or YA manuscript to send your way . A great opportunity . Thanks for the interview and the opportunity! Fiona, I am excited to learn more from you in this fantastic webinar. Thank you for the wonderful opportunity. This is amazing. Kidlit411 and Inked Voices are great places and they did good partnering with you, Fiona. Loved hearing about your backstory and the passion you have for you authors and their work. The lunches are a nice touch too. Now I feel like I need to take a second look at the beginnings of my picture books! Thanks for this exclusive opportunity for Kidlit411 members. Can't wait for the webinar!